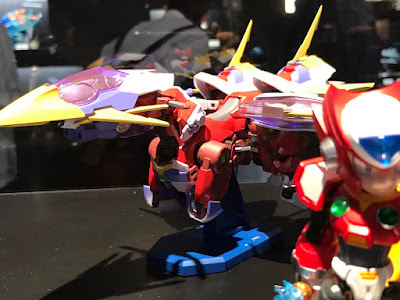 Rockman Corner: The Secret of Giga Armor Rockman X's Ride Chaser... It Transforms? The Secret of Giga Armor Rockman X's Ride Chaser... It Transforms? Our initial speculation suggested the Ride Chaser can combine with Bandai's Giga Armor X to form a powered-up, Ultimate Armor mode. Pieces on the Ride Chaser still imply that - however, there may be more going on here than meets the eye. 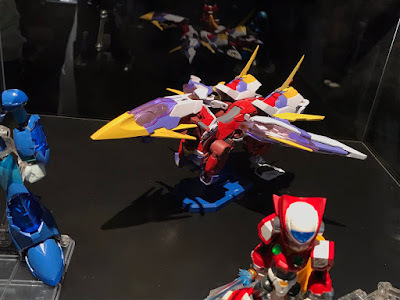 The Ride Chaser and Giga Armor X were on-hand for attendees at Tamashii Nations 10th Anniversary World Tour in Osaka. Fans were permitted to take photographs and, in doing so, may have uncovered the Ride Chaser's much-hyped secret. Take away X's power-up pieces and the Ride Chaser appears to transforms into a mechanized beast. Is it a horse? Better yet, is it a canine similar to Rush? Wouldn't that be interesting - Rush's Rockman X counterpart? Now THAT is uncharted territory right there. Unfortunately Bandai could neither confirm nor deny these theories. They did, however, confirm X and the Ride Chaser will be sold together for 12,900 Yen (roughly $116 US). 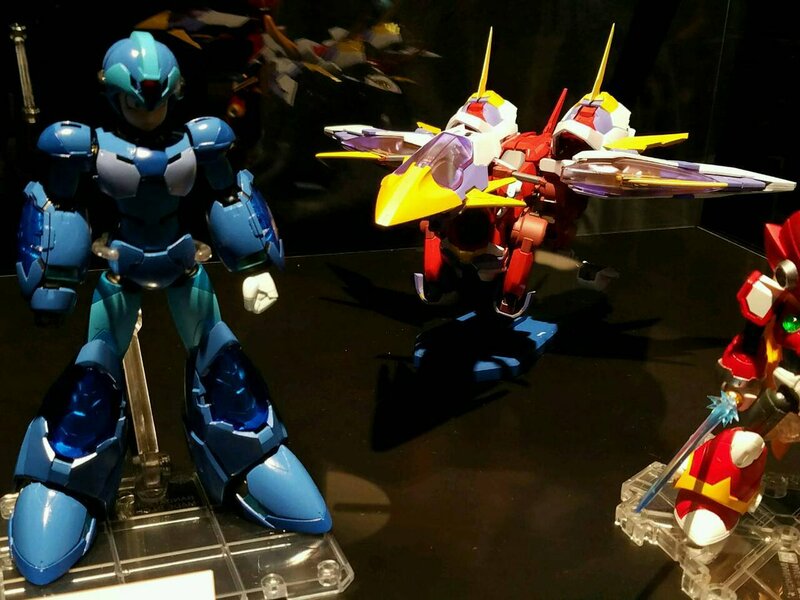 Size-wise, X stands at 140mm/5.5 inches (about a half-inch bigger than the D-Arts figures). Lastly, the figure is indeed a Chogokin die-cast, not a model kit. It's anticipated to ship later in October. Credit to holiday8823 and TERAKAK2 for the images! Given the way the top image of the zoom ins hits the back of the ride chaser well enough. The way those joints look connected make it out to definitely be a horse. 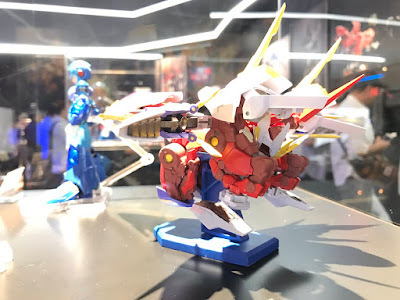 This figure's design, the possibility of an animal transforming robot rush-like counter part, all of Tru Force's X designs.... all new and original designs and ideas........ They all could be building something very interesting for potential game material here. Was kinda hoping this line wouldn't be that expensive, maybe around $30-40 with cheaper optional armor kits, but it looks like Bandai completely forgot the purpose of the original line and went full moneypit. This is probably gonna be all we'll get from this line. I dunno. The hefty price mostly comes from it being a two-in-one; it's possible future models will be sold individually (this is def going to be a line going forward). There will be more than one X if the Mega Armors are any indication. So, the armor parts do not replace, they apparently snap on over the top. That's new. Is this thing a model or not!? The Mega Armors were tiny built it yourself model kit figures. I was really hoping to be able to build this myself. The armor itself reminds me of the Copy X variant of the ultimate armor. 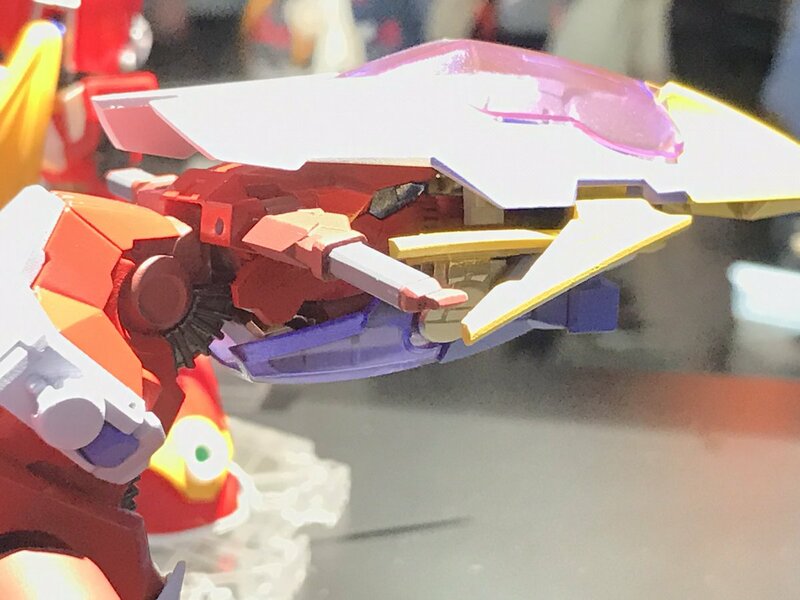 On that note, I wonder if this is gonna be similar to Harpuia's Aztec Falcon. I mean...he IS related to X. So it's not a model kit? Man, and here I was looking forward to getting back into modeling...Probably won't be able to afford it when it comes out, either. Still, I like the idea of X possibly having a Rush equivalent. I like the look of these figures. The color scheme kinda reminds me of some older toys I used to have.